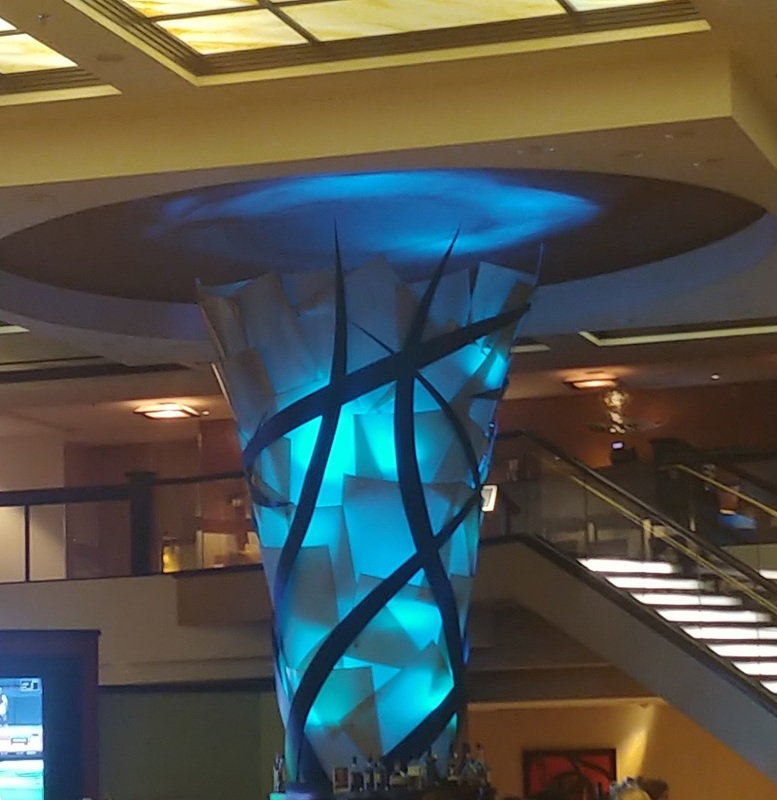 A stylized Pisces symbol set upon a funneling column; blacklit in a watery blue hue that denoted the bar area of the hotel lobby. Sooooo many astro-clichés in a single sentence, non? When I pointed this out to friends they exclaimed “How the hell did you see that?! ?” in absolute astonishment. Pluto Life, my lovelies; the symbols and omens are omnipresent and obvious. Just wait until I tell you about how my (otherwise perfectly lovely and very comfortable) hotel room sprang a water leak that left a soggy, spongy pool on the carpet after the day’s lectures had concluded….! Yes, Neptune in Pisces had his fins aaaalllll over this trip; including the remote viewing dream sent to me circa a year and a half ago that gave me the heads up my attendance at this very function would be required.